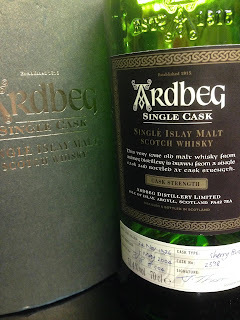 I’ve got some Sherried Ardbeg’s from the Whisky Show today. One of my favourite styles. 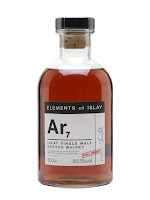 First up is the Elements of Islay, 7th edition. These go for about £120 for a 50cl bottle, so let’s hope for 1990’s distillate. Nose: Lovely, classic Ardy! Lime, Sherry, engine oil, kiln, smoke. Taste: Full, intense smoke, integrated Sherry, lots of spice, ginger, oak and wood. Finish: Long length. Very oily, lime and Sherry. 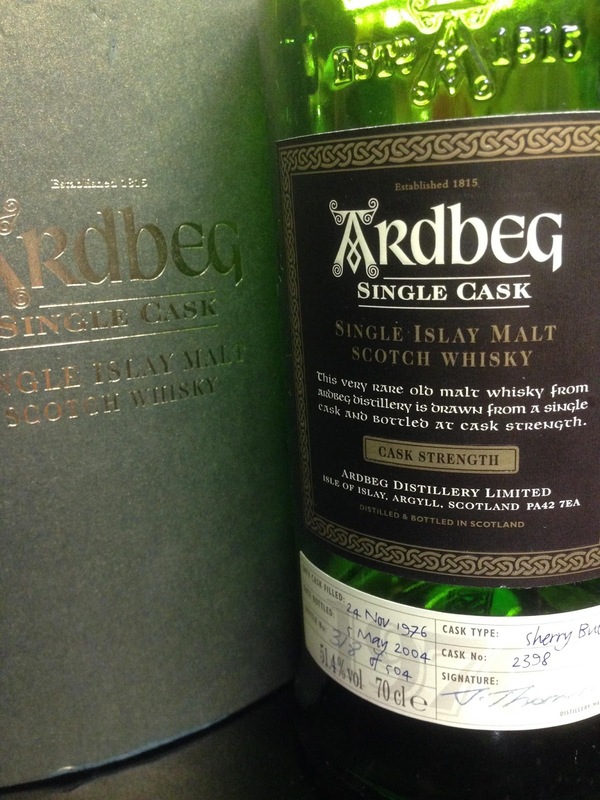 What is there to say, it’s Sherried Ardbeg. It’s great of course. Same score as the Oog though. Let compare to some 70’s. A mate at the show got this as his dream dram (thanks Elias! ), so I only got to try this very briefly. Nose: Beautiful. Sherry stewed fruit, lime citrus, peat smoke integrated. Taste: Hugely oily, amazing lime rind, builds and builds, Sherry, raisin. Finish: Long length. OMG, amazing, lime. Single Sherry Cask. Bottled for the Feis Ile festival in 2004 at 27yo. An incredible bottling of course, would we expect anything less of Sherried 70’s Ardbeg? No.